When a high-ranking Israeli diplomat and his family are brutally murdered by terrorists, U.S. Marine Jack Burns (Hunter's Fred Dryer) defies his commander's orders and launches his own bloody war of revenge against the world's deadliest assassins. Burns and his men must take foreign policy into their own hands in a relentless battle against a mighty force of well-trained, well-armed terrorists... a fight from which there is no turning back. 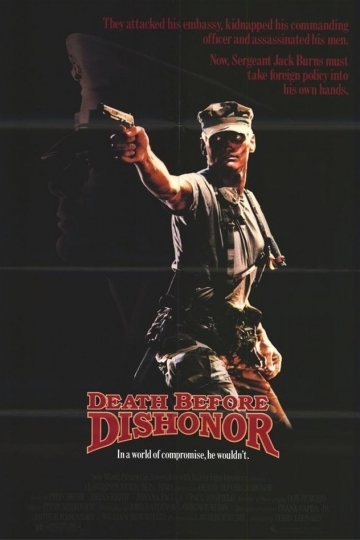 Death Before Dishonor is currently available to watch and stream, buy on demand at Amazon, Vudu, iTunes, YouTube VOD online.